My team and I very much look forward to welcoming you to Angsana Lang Co soon. For a fusion of unspoiled natural beauty and contemporary-chic resort living, Angsana Lang Cô is your ideal spot in central Vietnam. Clad in vibrant vietnamese decorative elements, the resort's stylish rooms and suites offer spectacular views of the East Sea and a tranquil lagoon, set amidst towering mountain landscapes. 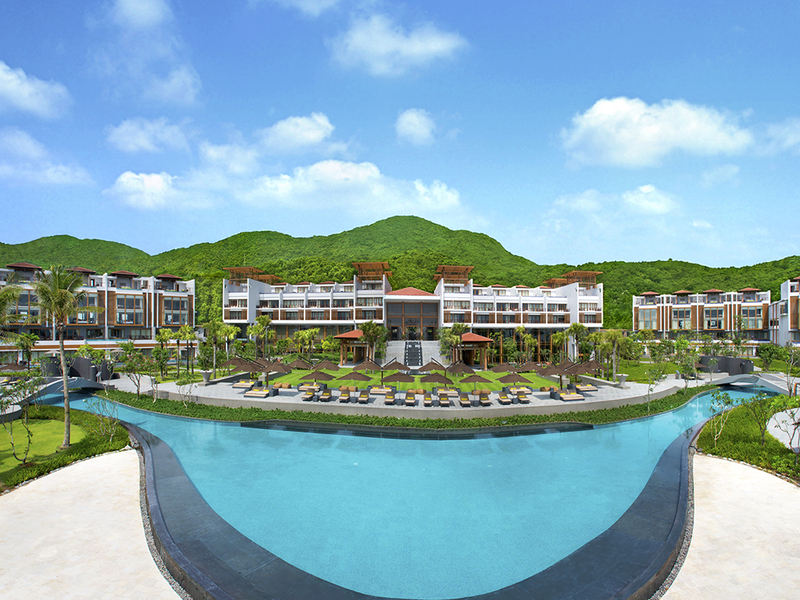 With an abundance of recreational and leisure options, prepare yourself for a fabulous tropical getaway at this stunning Vietnam beach resort. 18 holes Championship golf course designed by Sir Nick Faldo. A tribute to the cultivation of rice an integral part of vietnamese culture and national identity, the Rice Bowl serves up delectable rice dishes. This restaurant is the dining destination for guests with an appetite for hearty. Uniting the best of Indochina culinary traditions, the Market Place is the dining venue to savour international favourites and local delights. Moomba Doubles as the resort's area for relaxing as a dining venue offering the best of authentic Vietnamese cuisine and Southeast Asian seafood fresh from the ocean. It also caters to global tastebuds with its delicious international dishes. Rice bar offers an extensive and inspiring menu of asian rice-based beverages. Within the same venue, a dedicated cigar lounge, aged whiskeys, fine wines and cocktails based on richly flavoured rice-brandies aim to entertain. Sit on a rooftop terrace and enjoy impressive East Sea views while sipping a cocktail or your chosen drink. With the sky for your ceiling and gorgeous scenery around you, the Upper Deck is the ideal spot for relaxing before or after dining.